As I’ve gotten older, I’ve come to realize that people really only want gifts that will make their lives easier. That’s why I put together this Gift Guide for Stressed Out People– a collection of beautiful, functional objects that promote mental health and wellbeing. We live at a moment in history when divisive politics, globalized trade, tech addiction, the mental health crisis, and a culture that never lets people relax are becoming the defining narratives of our time. Now more than ever, what we buy needs to be crafted in the spirit of intent and thoughtfulness, rather than planned obsolescence. The objects that surround us should bring us joy and improve our lives. Our purchases should have added value– otherwise, what’s the point? Below is a collection of gift ideas for stressed out people, self care addicts, entrepreneurs, insomniacs, nervous nellies, Type A folks, and everyone in between. We hope these items bring you comfort and stress relief at a time when both are hard to find. 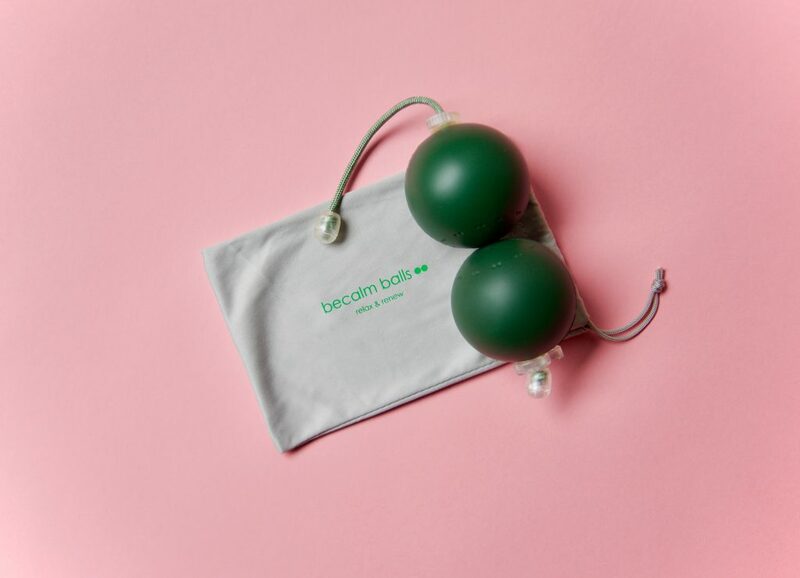 BeCalm Massage Balls look totally weird and questionable but they are super helpful for people who carry most of their tension in their neck and shoulders– and ideally sized as a stocking stuffer. 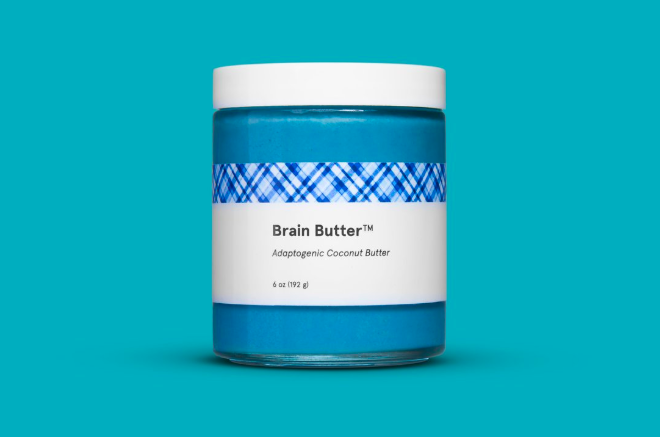 PB’s bright blue spirulina-infused “Brain Butter” is made with ginkgo and antioxidant rich spirulina for enhanced mood and energy. Use it to make the illest mermaid toast in town, or dress up your child’s vegetables with a colorful surprise. Remember: this isn’t coconut oil; it’s coconut butter. So it tastes like butter, but it’s vegan. 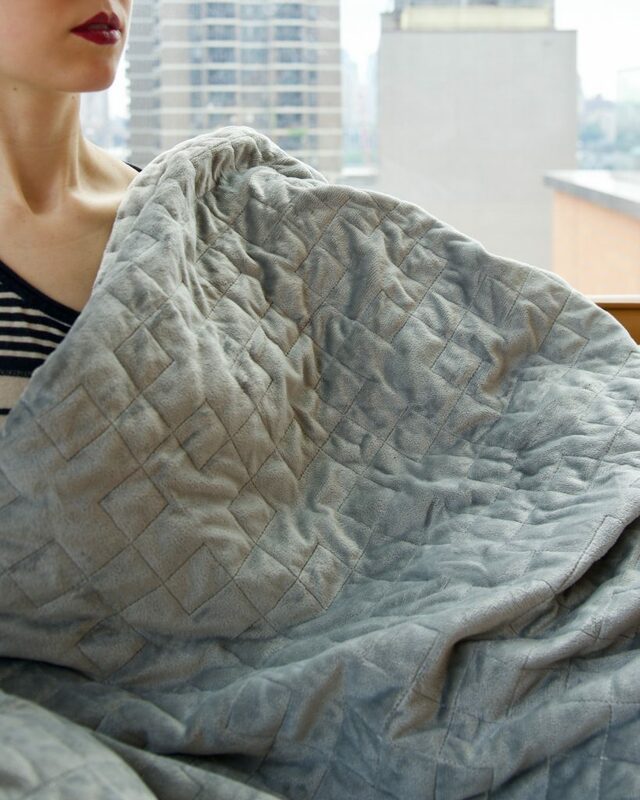 The Gravity Blanket is a weighted blanket that helps people fall asleep quickly and more deeply. The weight induces a feeling of calm and wellbeing akin to a hug, and there is plenty of scientific evidence to support this claim. A suitable blanket should be ~10% of the sleeping person’s body weight, which is why it’s available in three sizes (15 lbs, 20 lbs, or 25 lbs). It also comes in three colors– Space Grey, Galaxy Blue, Moon Ivory. (I love my Space Grey blanket.) The Gravity Blanket is one of the most helpful, non-invasive tools for insomniacs on the market, and it’s super cozy. Verilux’s HappyLight offers a clinically backed treatment for Seasonal Affective Disorder (also known as SAD), which is an epidemic experienced by people around the world. SAD is a general feeling of sadness, worry, stress, or depression during the cold, gray winter months. While sleep, exercise, diet, and therapy can help ease the symptoms of Seasonal Affective Disorder, light therapy is also super helpful. 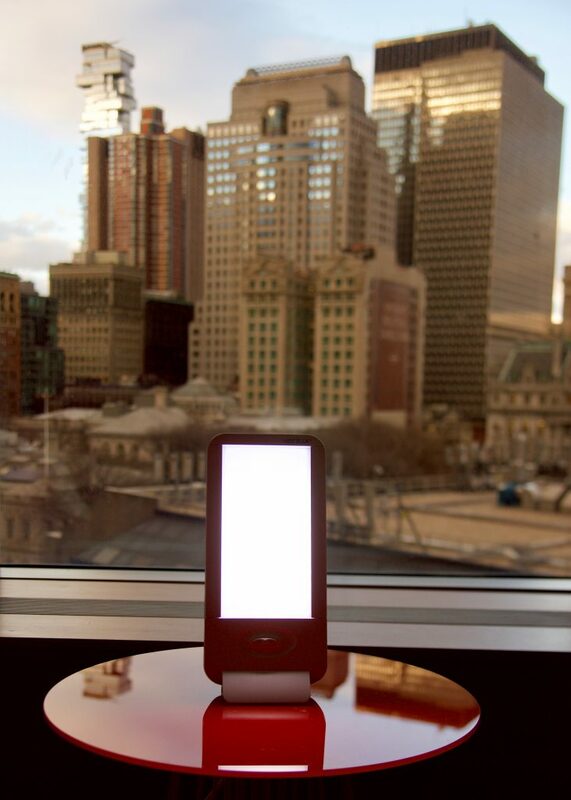 Just sit with your HappyLight on your desk for about 30 minutes a day between the hours of sunrise and sunset, and you’ll experience happier waking hours. A HappyLight mimics sunlight in our brains, inducing a feeling of ease and contentment when the weather outside is frightful. Bills Gates wants every graduating college student to read this book, and he famously went on the record saying so earlier this year. Factfulness: Ten Reasons We’re Wrong About the World–and Why Things Are Better Than You Think offers a deep dive into the ways in which people tend to distort the world and make it seem worse than it is, even when all evidence suggests that it is always improving. Supposedly, people have a bias towards instincts and assumptions that reinforce the status quo. For example, literacy rates around the world are at an all time high. Murders are at an all time low. Child mortality is at an all time low, everywhere. More people have access to education and health care services than ever before. And yet, most people still think the world is getting worse. Why? Factfulness is a well-researched and surprisingly charming search for answers. The crux of the issue boils down to this idea: people look for clues that reinforce the patterns that they assume to be true, rather than what the data shows. By dismantling our perception of “facts,” Roslings brings us that much closer to the truth. And the truth is: Life is always better than you think it is. Elizabeth Suzann is a hero in the realm of small batch, thoughtfully-made clothing. Her Nashville-based atelier makes luxe linen clothing favored by artists, activists, and lifestyle bloggers. Perhaps most importantly: it’s super comfortable. Wearing loose clothing instills a sense of comfort and joy– just in time for the holidays! Tunics are a stylish, timeless option for those who want to keep up with the trend, and they are flattering on all body types. 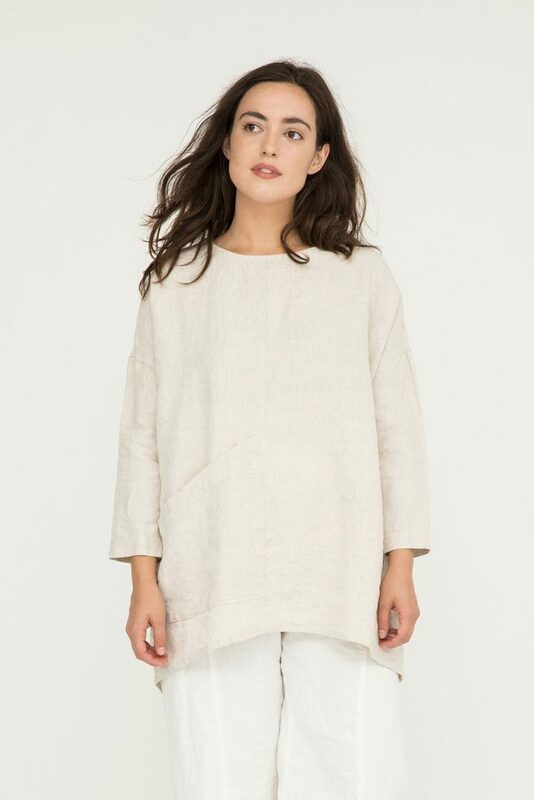 I personally recommend the Long Sleeve Harper Tunic in flax for that fresh-from-the-artists-studio look, but you can’t really go wrong with anything on the website. Who knew that linen tops could wear so well in winter? 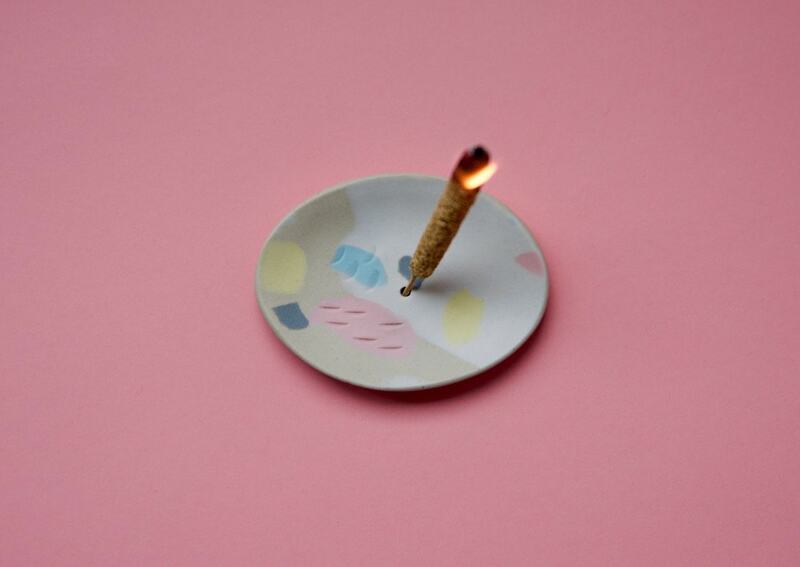 To that end, Knotwork LA’s colorful take on the trend is super charming, and their Pastel Incense Holders feature a colorful ceramic inlay will make even the most patchouli-averse patriot want to light up (with Palo Santo, that is). No two incense dishes are alike, so you can be sure that the sage will burn in style. Good vibes only. Komuso Design’s Shift Necklace offers a passive reminder to keep breathing– literally. It’s an OM whistle on a chain that induces relaxation by slowing the pace of breath. Simply exhale through the tube whenever you’re feeling frazzled, and feel your tension melt away. This is a popular item among yogis, who like to wear the necklace as a reminder to breathe. The shift necklace is available in rose gold, silver, and gold, and it’s frequently sold out. Making your #GivingTuesday plans? Consider Everytown & @MomsDemand! This year, your support has already fueled major gun sense victories in state legislatures, corporate boardrooms, and at the ballot box. You can help us continue the work with a donation at the link in our bio! If you belong to a family that likes to give charitable donations as gifts, consider including Everytown For Gun Safety on this year’s list (and also these charities supporting California wildfire relief). Everytown For Gun Safety is one of the most prominent organizations fighting tenaciously for gun control in America– an issue that has consumed the imagination of those worried about the health and safety of their families. Against a landscape of what seems like continual setbacks, Everytown For Gun Safety is doing heroic work, and their organization was instrumental in convincing the Trump Administration to ban bump stock devices on guns. In addition to their organizing work, Everytown for Gun Safety is also one of the most active gun control advocacy groups in the United States. They litigate for changes that don’t often make the news, but which have had huge, protective effects for the communities most ravaged by gun violence. Everytown is also a primary resource for information and statistics about a wide range of issues related to guns. For this reason, I would encourage you to follow them on Instagram, Facebook, and/or Twitter. Whenever I’m feeling helpless about inexplicable gun violence in America, they always seem to inspire hope. The research behind this Pepto-Bismol colored jacket is crazy. The Baker Miller Pink Relaxation Hoodie is designed to slow heart rate and calm the wearer down in a matter of minutes, based on a combination of sophisticated color technology and ergonomic design. In the 1980’s, psychologists conducted several experiments in which violent prison inmates and military personnel were placed in cells where every surface was painted this shade of pink, which is now known as “Baker Miller Pink.” Exposure to this environment for 15 minutes “was enough to stop all angry and antagonistic behaviour,” the brand explains of the study’s findings. This was a pioneering discovery. For the first time, those designing endurance gear could incorporate color therapy into their clothing. In this spirit, Vollebak engineered the relaxation hoodie to help users calm down. Looking at the color slows down heart rate and brainwaves, which induces a state of calm. The hood also has a 180-degree zipper that allows you to bundle yourself up like you’re in an isolation tank. There’s a mesh window for the eyes that gives everything a pink filter. Be advised, however, that you will end up looking like bubblegum Spiderman. Enveloping yourself in this cozy pink cocoon creates a mind hack that forces your brain into a state of calm. I own one of these jackets, and it’s actually pretty remarkable. It’s a great gift for endurance athletes, outdoor enthusiasts, and frequent airplane travelers. The jacket also comes with a downloadable relaxation soundtrack of pink noise, which is said to induce the same calming brain waves that people experience in meditation. Know someone who’s really worried about the state of our politics? Us, too. 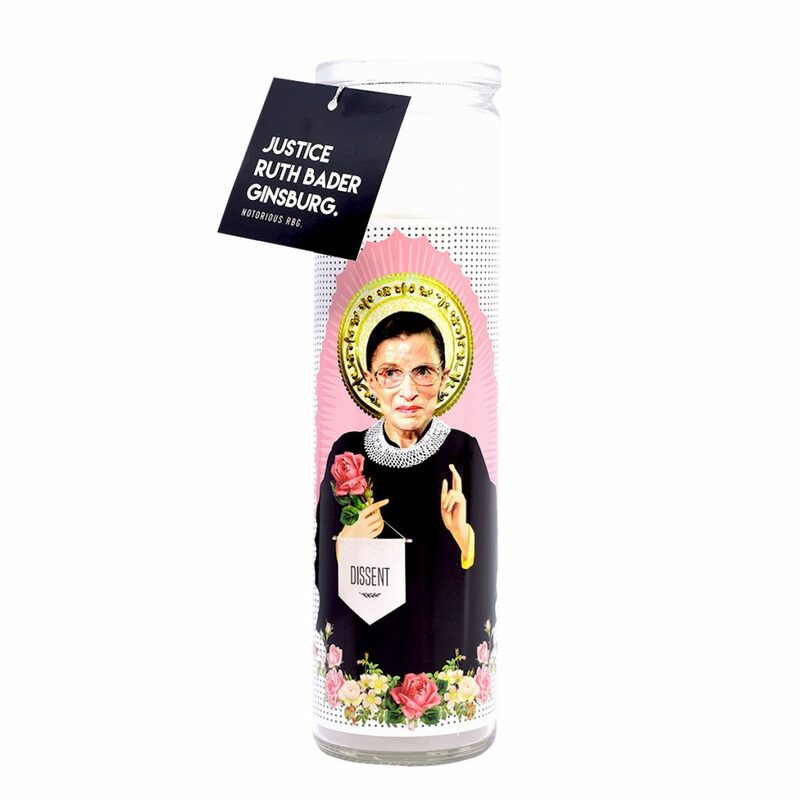 A Justice Ruth Bader Ginsberg Prayer Candle is just one example of many cheeky, pop culture-inspired devotion candles that may just restore your giftee’s faith in humanity. The Five 15 also makes prayer candles for each member of the Netflix Queer Eye squad, Kamala Harris, and Prince— and a portion of the proceeds go to charity. Prayer candles are devotional objects that inspire goodwill through intention setting and manifestation. Basically, you say a prayer, and then you light the candle and let it burn for as long as possible to ‘manifest’ that prayer. Even though votive candles are originally a Catholic tradition, secular people have adopted the practice. 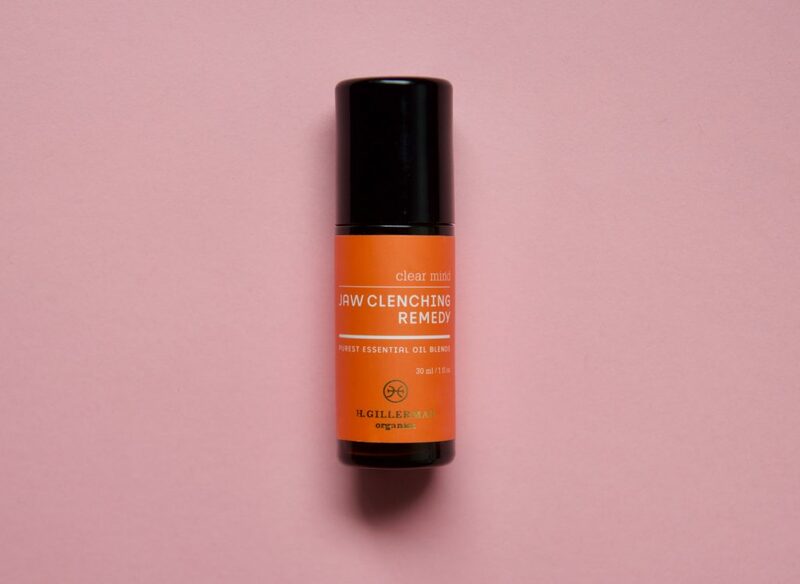 The easy, roll-on applicator is travel-friendly and safe for sensitive skin– plus, it smells divine. To use, shake the 1-oz roller bottle and apply to the tender spots on your jaw, neck, and face. The deeply grounding, earthy blend uses aromatherapy to relax facial muscles and slow racing thoughts. It can also loosen up a jaw that is locked up from TMJ. Himalayan salt lamps are said to ease anxiety and improve sleep when heat from the light source releases positively charged salt ions into the air. 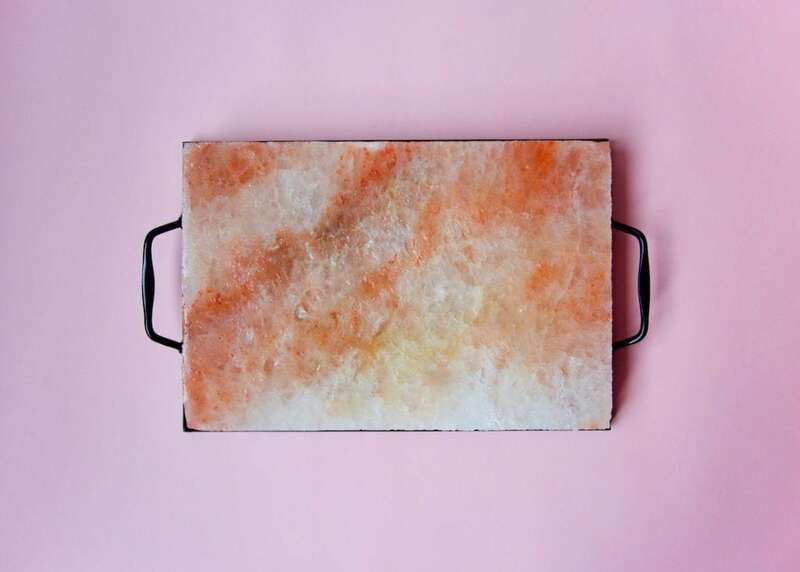 The same thing happens when you cook with a Himalayan Salt Block, which can be used for cooking and grilling, while adding trace minerals and flavor to your food. Use pink salt blocks for grilling, chilling, serving, or slicing your favorite foods. Simply place the block on top of a grill and use the heated surface to prepare seafood, meat, or vegetables. Or, chill the block in the fridge and use it as a platter to serve sushi, fruit plates, or cold parfaits. However you use it, you’ll get the health benefits of Himalayan salt and a decor element that makes an excellent conversation starter at any holiday table. Best of all, you only need to rinse it with water to clean it. (Salt blocks are not dishwasher or microwave safe, but they are naturally anti-microbial.) Crate & Barrel sells Himalayan Salt Blocks and Salt Block Holders for under $50, but you can find them on Amazon, as well. The Thera Cane Massager is a great gift for people with chronic tension in their shoulders, back, and neck– and it is a surprisingly coveted item at family Yankee Swaps. The curved shape lets you target and massage tense parts of your back that couldn’t otherwise be reached. Seven strategically placed nodes allow for the massage of every major muscle group in the body, including lower back, traps, triceps, inner thighs, and neck. The nodes break up knots and improve circulation to these areas through what is essentially trigger-point massage. Friends of mine who work desk jobs on Wall Street love the Thera Cane just as much as my artist friends who put lots of strain on their bodies in studio. Most people who work jobs that require intense focus will eventually build up some tension in the body, and this office-friendly tool is a great way to relieve it. 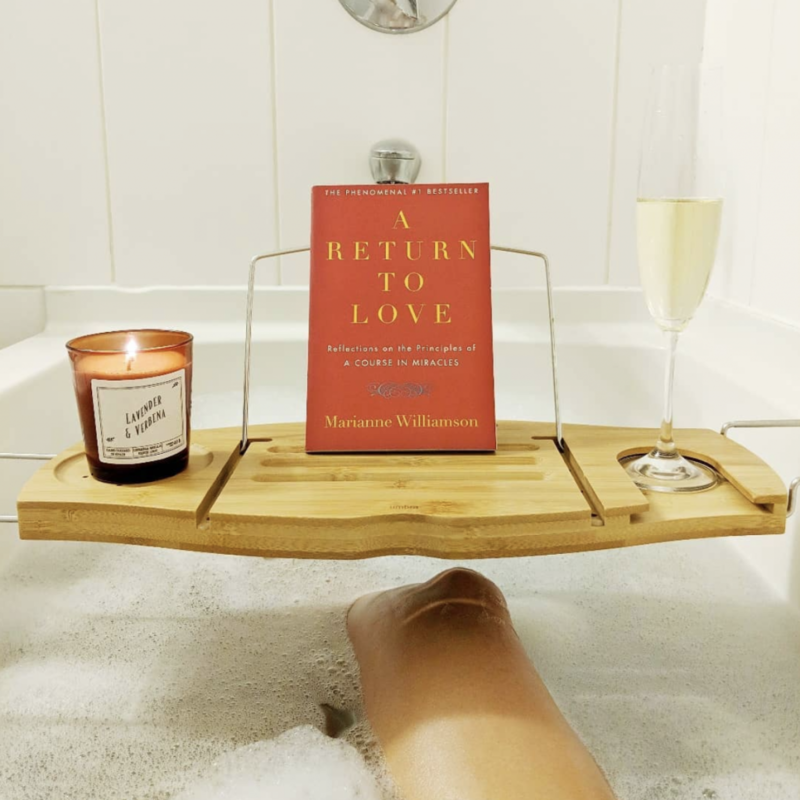 If you haven’t yet heard of or read Marianne Williamson’s epic book A Return to Love, you will be happy for this introduction. This collection of essays spent decades as a New York Times bestseller. It was also one of the books that inspired Oprah Winfrey to start her Book Club. If you’ve never heard of it, I promise: A Return to Love is a life-changer. It seemingly helps everyone who reads it. I give ARTL to anyone in my life who is struggling or lacking direction, and it seems to have the universal effect of helping people find their way. It’s a philosophical, pseudo-spiritual read about the role that Love plays in our lives, and how we can return to its core principles when times get rough. Readers are reminded that “everything is going to be okay,” usually at a time when they need to hear it the most. 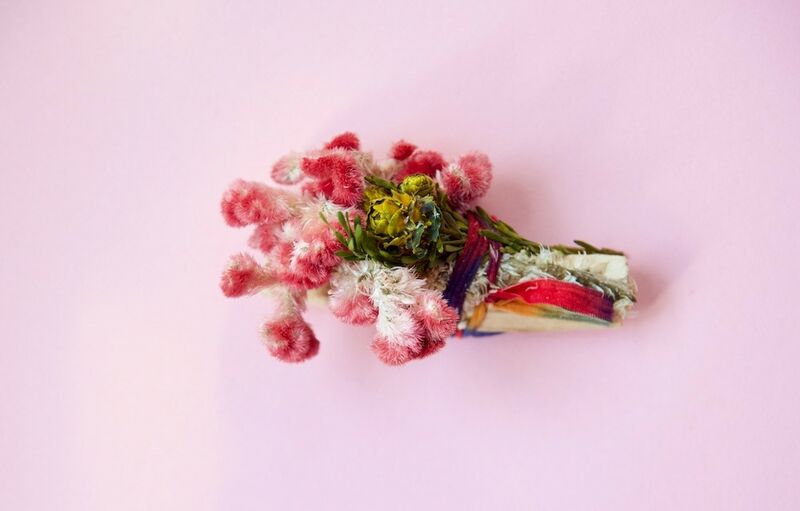 Catherine Rising is a lovely little apothecary in upstate New York that makes beautiful, DIY incense with dried flowers and wild-looking herbs. Catherine’s Small Floral Smudge Sticks represent everything that is good about the brand: simplicity and a hand-gathered feel. Smudging is a fun way to eliminate bad juju and negative energy from your space. Plus, it smells good. A bundle of white sage burns like incense. To “smudge” your room, light your smudge stick and wave it around the room so that the smoke can “clear” stagnant energy. It’s a good idea to smudge your room or office after a bad day or a move, but you can also use smudge sticks casually, whenever you need a little pick-me-up. For the homebody-chic inclined, Alabama Chanin makes beautiful, hand-crafted lounge wear that is made in the USA from 100% organic cotton. 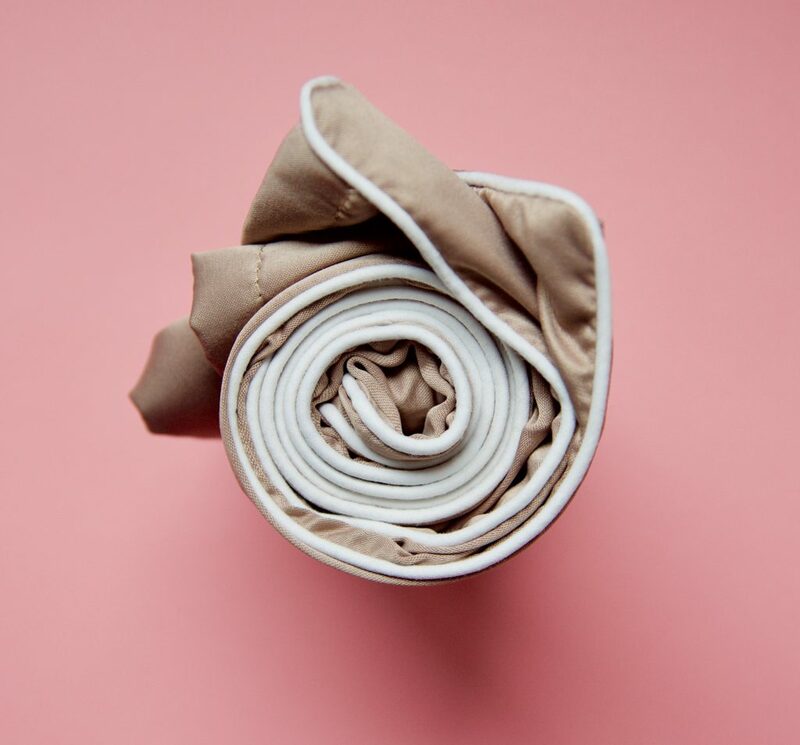 Founded by seamstress Natalie Chanin, the company’s mission is to bring together thoughtful design, responsible production, good business, and quality that lasts. You can’t underestimate the value of massage for an anxious, stressed person. Science shows that being touched is literally healing for us— so why not extend the gift of contact relaxation this holiday season? In New York, I specifically recommend giving gift cards to Pratima Spa, Joanna Vargas, Naturopathica, FaceLove, Tracie Martyn, and Aire Ancient Baths for luxe spa experiences. 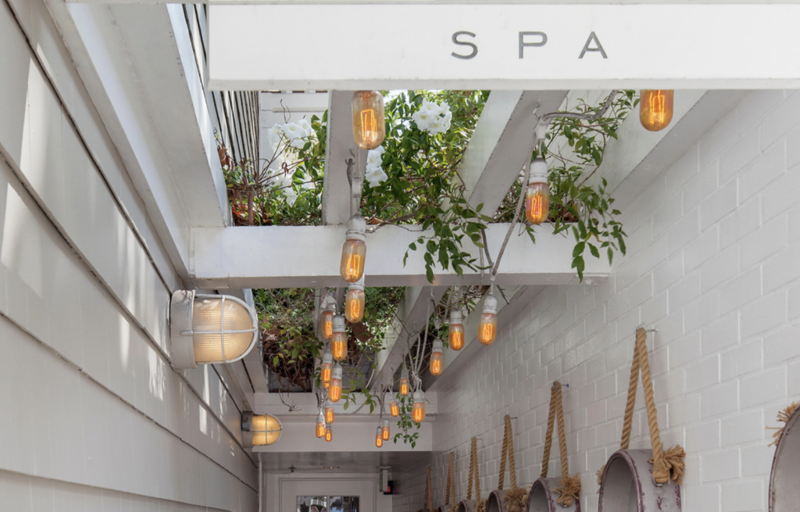 In Los Angeles, go for the Spa at the Peninsula Beverly Hills, Joanna Vargas in WeHo, or gift one of One Spa’s epic cranio-sacral massages at Shutters on the Beach in Santa Monica (the adjoining 1 Pico is also a great place to get dinner). If you’re in Chicago, go for facials at MudbuM or a crystal healing “chakrassage” at Ruby Room. London dwellers: check out Akasha Holistic Wellbeing Centre at Hotel Café Royal, May Fair Spa, The Ned Barbour & Parlour, or Ushvani. Parisian friends: the Chanel Spa at the Ritz, Spa Nolinski at La Colline, the Spa at Mandarin Oriental, and Free Persephone are all fabulous. Cheapest option: I swear by the quality, no-frills treatments that Massage Envy offers. They are affordable, reliable, and franchised across the U.S., including rural areas and the suburbs. Illuminage makes the most famous copper pillowcase out there, but a number of new brands are jumping in on the trend. Supposedly, having copper oxides woven into the textiles that you sleep on is very healing and restorative to the skin, and yes, there is science to back up these claims. Some people claim that copper pillow cases can prevent premature wrinkles, or at least delay their formation. The copper woven amongst the thread makes it so that the fabric won’t “pull” or “tug” on your face while you sleep. There is also some suggestion that microscopic copper oxides can advance wound healing, which would underscore claims of improved elasticity. Like silk, copper pillowcases are also good for keeping hair sleek and shiny. So, even if you don’t get a lot of sleep, you can maximize the utility of the sleep that you do get. If you’ve made it this far, you’ve probably already heard about CBD oil. Cannabinoid oil, also known as CBD, is an oil derived from the cannabis plant. Scientists believe that a few drops of cannabinoid oil can significantly improve anxiety symptoms. It can also help improve sleep quality, expedite recovery from athletic pursuits, and address mental ailments stemming from stress. Unlike medical marijuana, which comes with a high, CBD oil does not contain THC (the stuff in marijuana that gets you high). As a result, it is much gentler on the system and has little to no side effects. 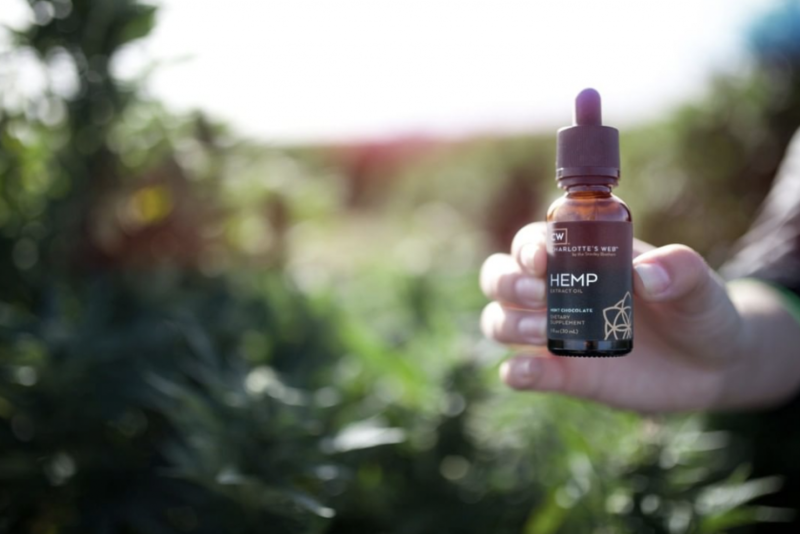 Charlotte’s Web CBD Hemp Oil is one of the most trusted CBD brands on the market (and there are many scammers out there trying to get in on the CBD gold rush, so you want to be careful about what you buy). Cannabis products are subject to a massive amount of scrutiny from the FDA, who have rather controversially been slow to embrace the wholesale distribution of CBD oil, even though there is a preponderance of evidence to suggest its efficacy in treating anxiety, panic disorder, OCD, PTSD, and epilepsy, among other ailments. There are few trustworthy options available for purchase outside of California, but CW’s Original CBD Oil is one of them. This non-invasive blend is safe for kids, athletes, the elderly, and everyone in between. Made from USA grown hemp, the original formula contains 43 mg of hemp per 0.5 mL serving. Ideally, take it daily. This CBD oil comes in two flavors: Mint Chocolate and Olive Oil. Be sure to consult with your doctor before taking any new supplement. Many people have a lot of success with CBD oil, especially anxious people. The largest hurdle to overcome is the taboo. On a budget? Make this homemade calming lavender body butter. It’s super easy and affordable! Contemplating therapy but don’t want to go to a clinical office? Read our article about “Running Therapy” in Los Angeles. Thank you for the great suggestions. I plan on trying a few! Love these ideas! Rethinking some of my gift ideas!